Краткое описание: GET EXOTIC! …from Atlantis to Mars and everywhere in between. Race in style! 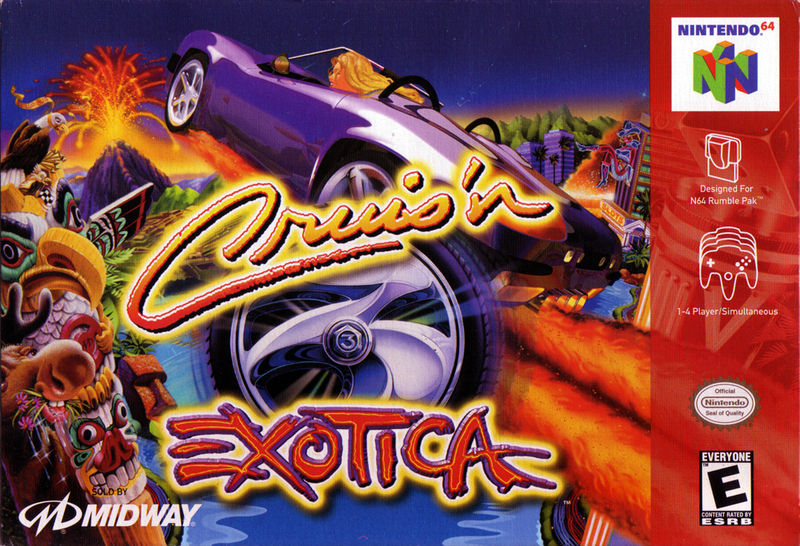 Cruis’n Exotica takes you to fantastic locales in even more fantastic vehicles. Race through steamy Jurassic jungles or on the ocean floor. Midair stunts keep the action nonstop! Valuable shortcuts and nitro boosts speed up the already fast-paced action! Fantastic driving excitement straight from the arcade! 28 exotic cars to race! 1 to 4 player non-stop racing action! 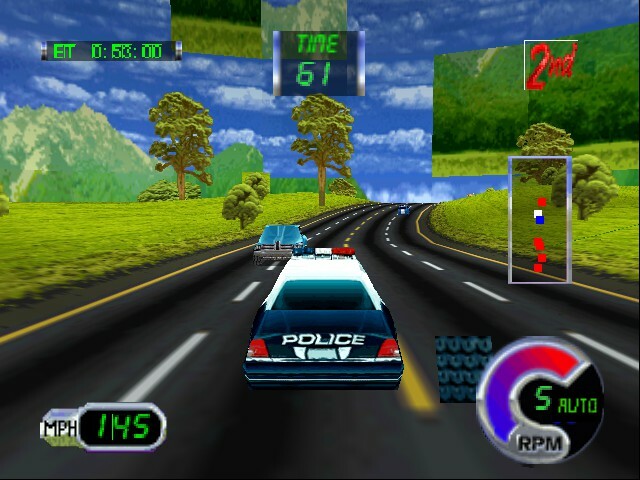 Turbo boosts, stunts, nitros and more! 60 tracks from around the world! Three modes of play to choose from! 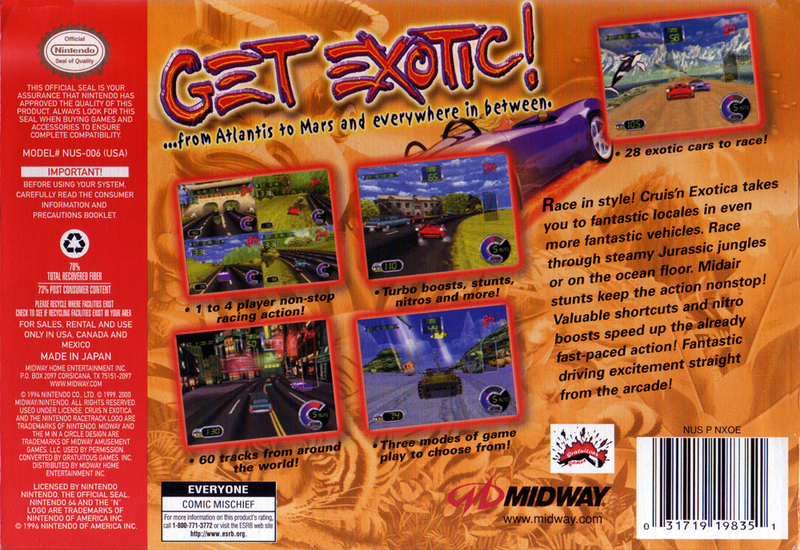 GET EXOTIC! …from Atlantis to Mars and everywhere in between. Three modes of play to choose from!